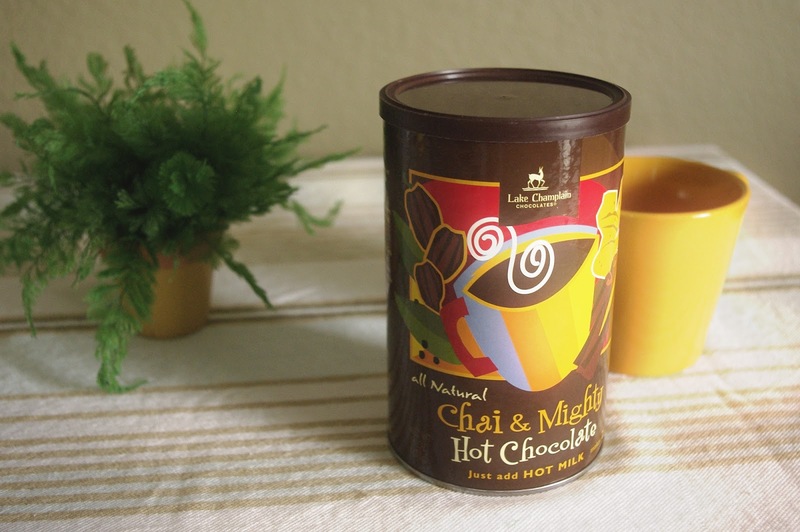 Today I'm trying out Lake Champlain's Chai & Mighty hot chocolate mix. It's exactly what it sounds like - hot chocolate with a bit of chai tea flavor. I'm not a big fan of tea, so I wasn't sure how I'd like this one. The ingredients are pretty dang awesome for an instant mix. 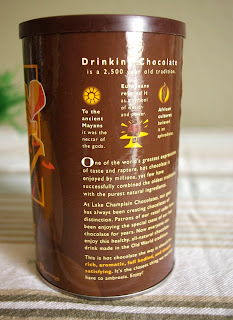 No powdered milk or anything like that, just sugar, cocoa, and the spices that give this hot chocolate it's very distinct flavor. I'm glad to see companies like Lake Champlain making simple hot chocolate mixes with natural, real ingredients. 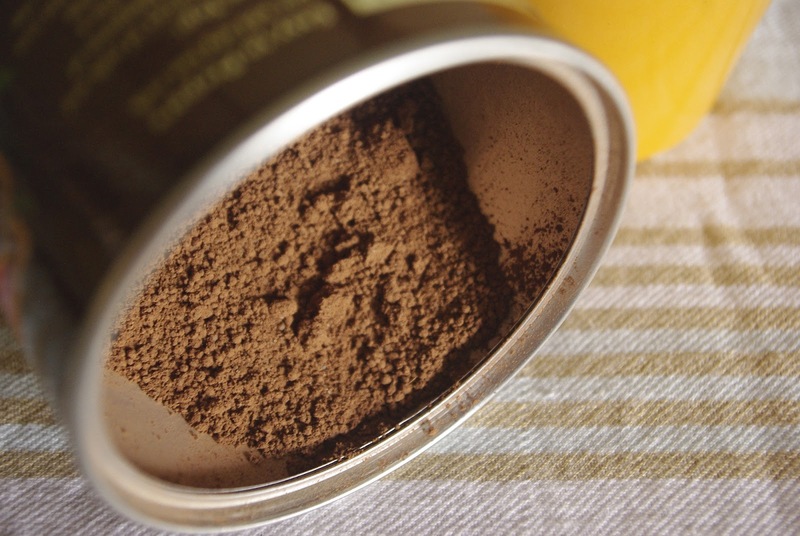 Next time you're at the grocery store, pick up that cheap box of hot cocoa powder packets and check out the ingredient list - nothing good in there! They also print some fun facts about the history of cacao on the back of the package. Interesting reading if you're just relaxing at the table with your morning cup of chocolate. It's recommended that you use milk for this one rather than water. The mix itself looks more like instant coffee than cocoa powder. Kind of clumpy. It dissolves nice and smoothly, though. And the smell inside that container - mmmmmmmm! Chai & Mighty is great hot chocolate! Delicious and very relaxing, in a different way than hot chocolate being relaxing in the winter. It has a light, soothing aroma and flavor, perfect for mid-afternoon, and the ginger gives it a bit of a kick. Even though I don't like chai tea very much, I loved this one! I'm enjoying mine in the only orange mug I own. Why? Because, believe it or not, it improves my perception of the flavor! 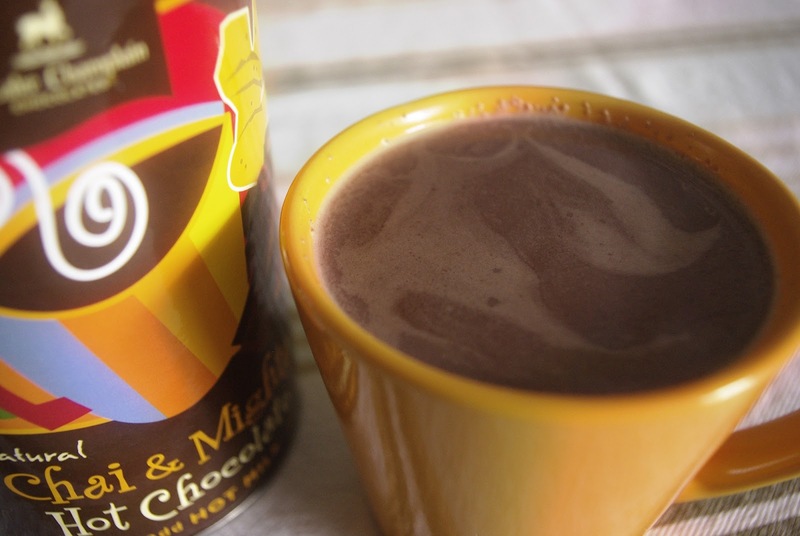 Yay for science that improves everyone's hot chocolate experience! 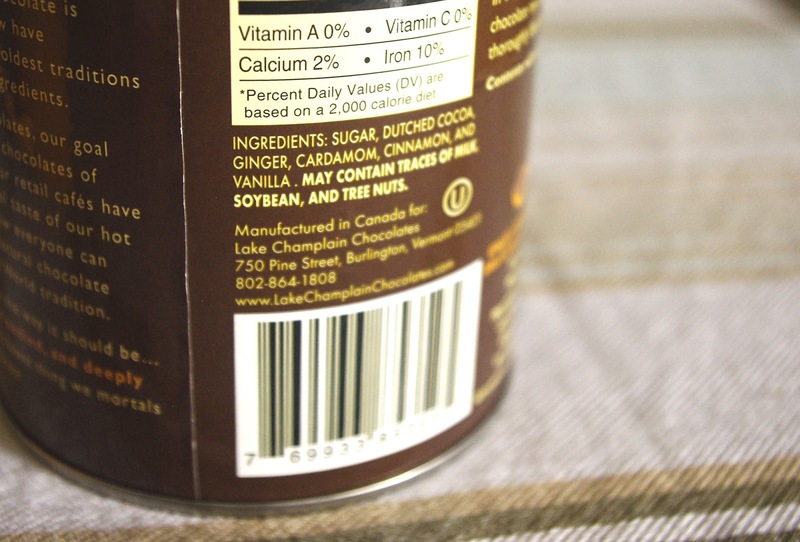 You can get Chai & Mighty at Lake Champlain's website or at Amazon. Here in Southern California, Whole Foods also carries it in their stores.